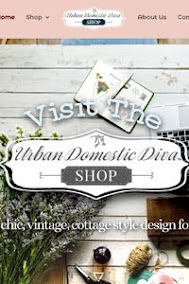 Spring calls to mind fresh rains, citrus fruits and floral overtones. And it was Spring that inspired me to do something interesting with my sad Granny Smith apples sitting in the fruit bowl for over a week. 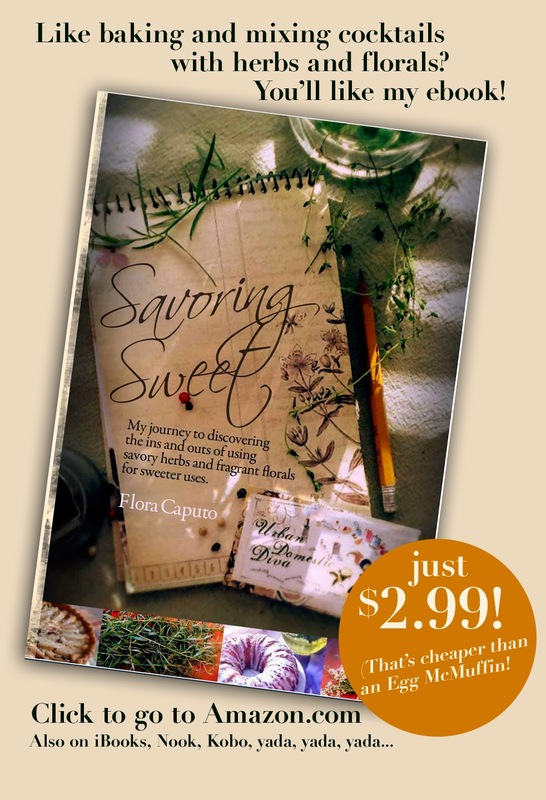 I have always wanted to try Lavender with apples, especially a pie. 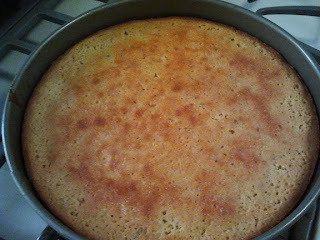 I have yet to try it, but I thought a step towards a successful pie is to play with it in an easy cake. As I began playing with a recipe, I wanted to bring up the floral notes even more, and decided to use chamomile tea in the batter and glaze. 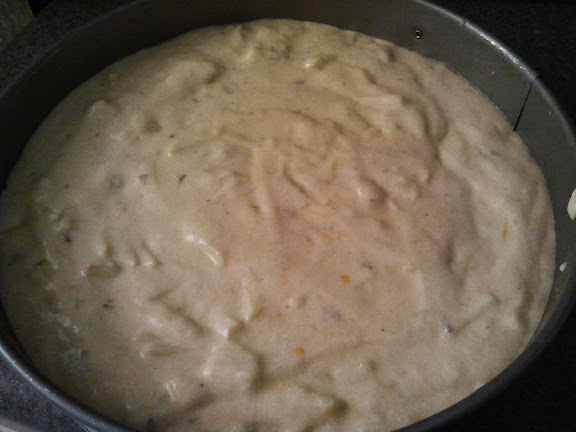 My husband dislikes Lavender in baking, so to tone it down, I added citrus notes of lemon-a perfect mate for Lavender. Well, I was really pleased with how it turned out. I think when I try a pie next, I will add a little punch of something like candied ginger? We'll see. Oh, and one final comment, my husband approved and had seconds. Point for The Wife! Heat oven to 350˚. Spray a 9" spring form pan with nonstick butter flavor cooking spray. Set aside. Now prep your stuff. Steep your tea bags in the boiling water. Set aside. 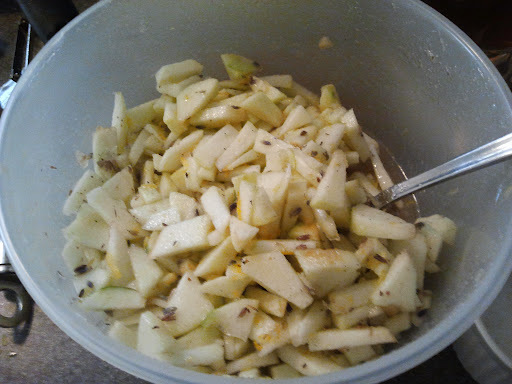 Mix your chopped apples with lavender, lemon zest, lemon juice and 3/4 cup sugar. Let macerate while you finish the batter. 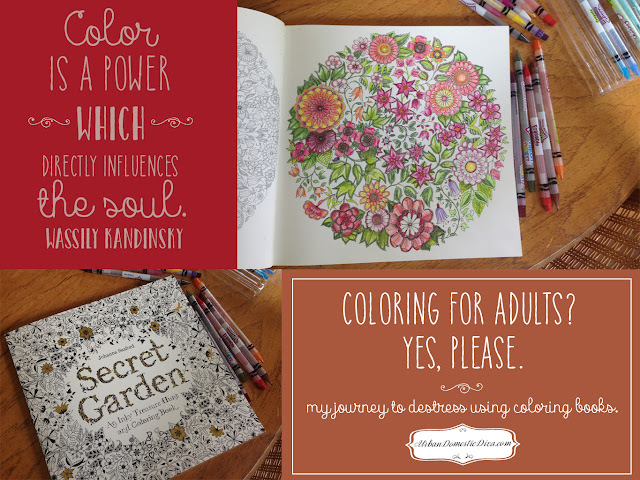 Give it a mix every once in a while. 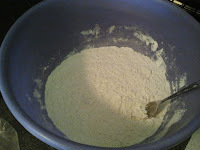 With a fork, mix the flour with baking powder and salt in a small bowl. Set aside. 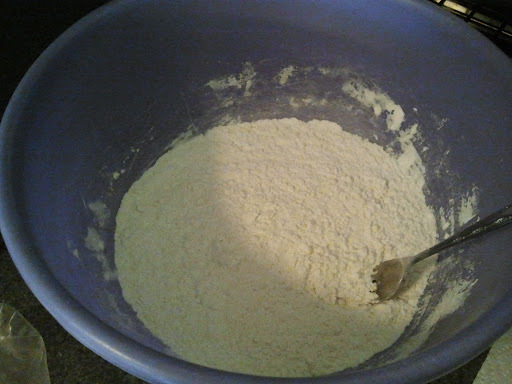 In a mixing bowl, cream the butter with the 1 cup of sugar. Add the eggs and beat until light and fluffy. Add the sour cream and vanilla. Mix until smooth. 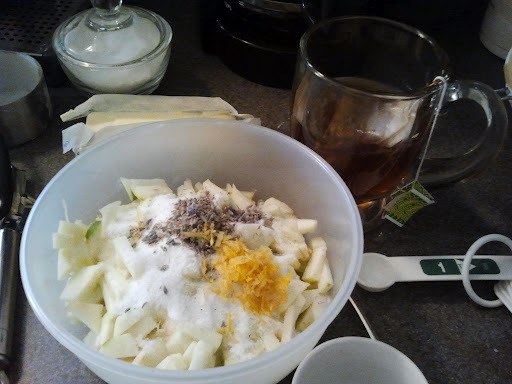 Add only half of the 1/2 cup Chamomile tea and mix until combined. 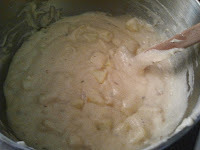 Now add the dry ingredients and mix until just combined. Stop and scrape the sides. Turn the mixer back on and add the rest of the tea, and mix until creamy and combined. Don't over mix. 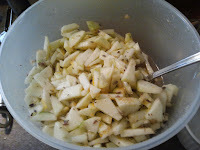 Using a spatula, fold in the apple mixture until evenly combined. Pour batter into the prepared pan. Bake on the middle rack of the oven for 45-50 minutes, or until top is golden and toothpick comes out clean. Let cool for ten minutes on a wire rack. Then carefully unclip the sides and remove so it can cool quicker. As it cools, make the glaze. In a small bowl, add the powdered sugar. 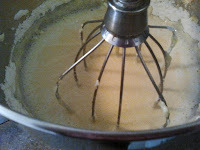 With a whisk add the melted butter, lemon juice, and tea to the sugar. 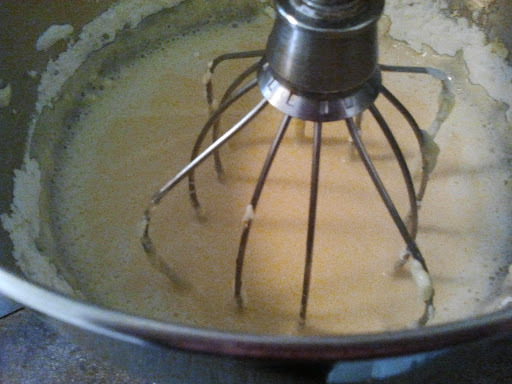 Glaze should stream off the whisk when lifted. if it is too dry add a touch more chamomile tea until it is thick drizzling consistency. Once cake is cool, drizzle top generously with the glaze.